U.S. Department of Interior Deputy Secretary David Bernhardt. Photo By U.S. Department of Agriculture. 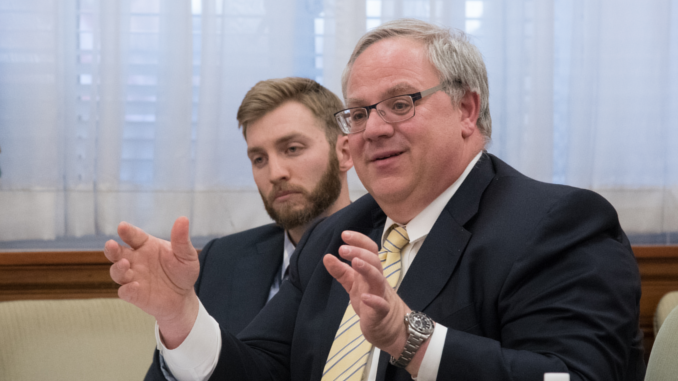 Newly confirmed Interior Secretary David Bernhardt is under investigation for potential conflict of interest allegations the Deputy Inspector General, Mary Kendall said in a letter on Monday. Bernhardt was confirmed The New York Times reported on April 11th, by a Senate vote of 56-41, who was Acting Interior Secretary stepping in when Ryan Zinke resigned amid his own allegations of ethical misconduct. CNN reported that during the government shutdown the Interior Dept. approved oil, gas permits., while other projection were placed on hold.